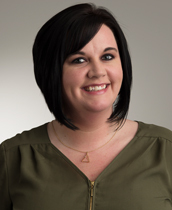 April, a native of Johnson City , is a veteran in Residential Property Management with over 8 years of service in this industry. She started her career in 2007 with Brookeside Properties overseeing the Leasing and marketing for a 120 unit community in Johnson City. April joined the team at UDC in March 2011 and has worked in leasing, operations and on the accounting teams. In October 2015, she was promoted to Property Manager at The Villas at Boone Ridge and in 2017, her property was awarded the Johnson City Press Readers' Choice Award for best apartment community. In 2018, April earned her Certified Apartment Manager (CAM) certification from the National Apartment Association.